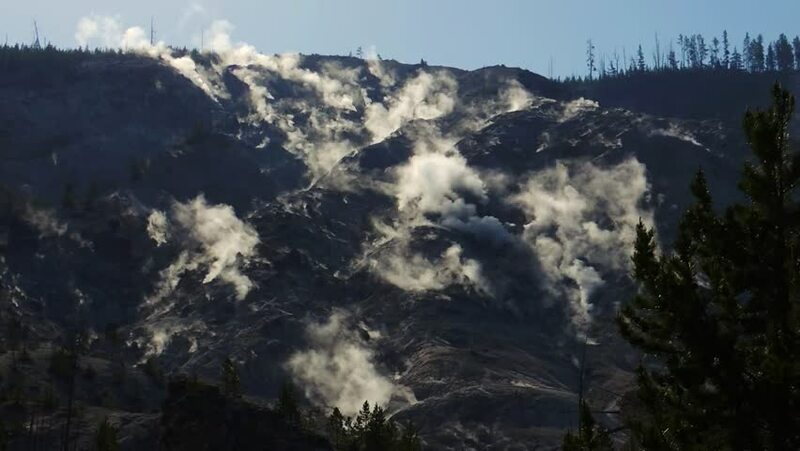 Steam erupts from volcanic mountain side fumaroles in Yellowstone National Park. Wyoming. 4k00:31Aerial footage Beautiful Nature Norway. Flying over the lakes and fjords.View from the bird's-eye view.